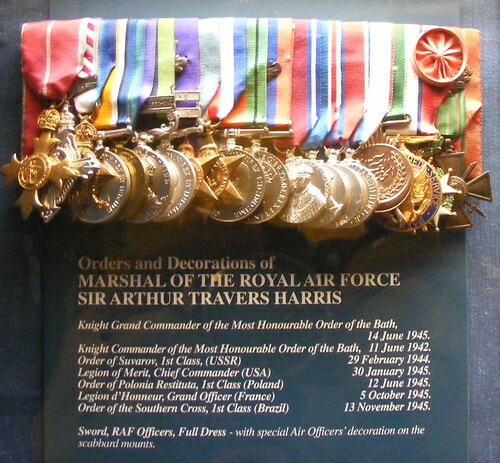 (Harris was appointed a Knight Grand Cross of the National Order of the Southern Cross of Brazil on the same date that (Acting Wing Commander) Craig received his Officer class of the National Order of the Southern Cross of Brazil on 13 November 1945) and post-dated the Vargas‘ resignation on the 29th October 1945. The targeting of the major German cities “to undermine the morale of the German people” provoked considerable Parliamentary and moral debate throughout the war. The debate, which primarily centred on the loss of civilian life caused by the area and fire bombing of heavily populated industrial towns and cities, continues to this day.